Ah!!! The holidays are among us and what's the holidays without a trip to your local Apple Store?! So while I and my girls went googly over all things starting with 'i', our budget was a constant reminder that we must remain thankful for what we do have. And so in the spirit of frugal thankfulness, I simply downloaded a new free-app to my old-already-paid-for phone. And what was that app? ~ the free blogger interface ~ I figured with my upcoming China trip, I should figure out how to post blogger updates from this phone. 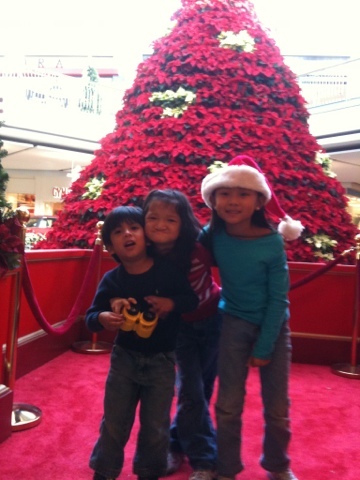 So here's my free-frugal-thankful-post while at the mall and on my iPhone.